History is not always a fun topic. Sometimes it can get boring. But it is a subject that needs to be taught so that we can learn from it. I love our current History curriculum, but I feel that it needs some more hands-on fun. 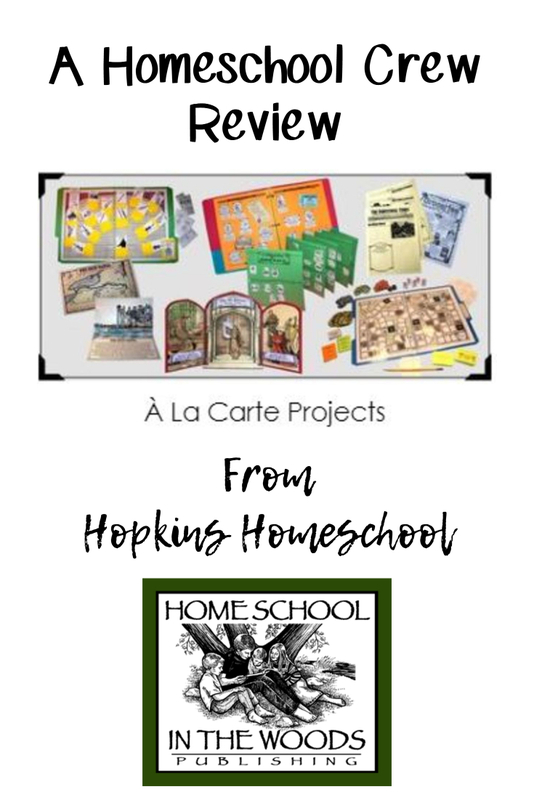 I am able to add to our curriculum with the Home School in the Woods À La Carte products. We were able to try out the Pirate Panolpy, A Trip to Town game, and America’s Beginnings Newspaper Collection. Each of these went with the time we are currently studying in our history curriculum. This was an excellent way for us to supplement our curriculum with fun, hands-on activities that brought our learning to life for the kids. 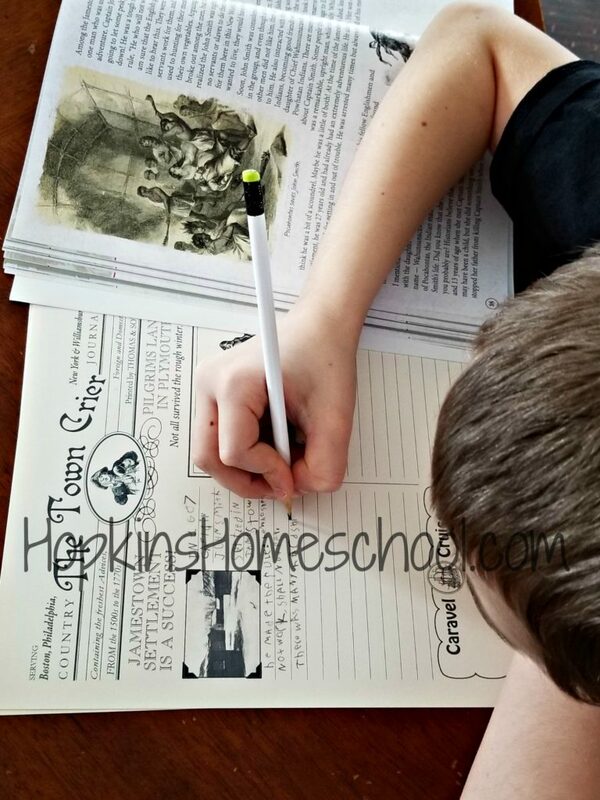 The À La Carte products from Home School in the Woods is a great way to grab fun hands-on activities for your children to learn history. The items available cover many different time periods and there are many more being added regularly. This makes me happy after trying these three items out. Each of these items came to me as a PDF download. They were in black and white and allowed me, or the children a chance to color them in as we saw fit. This was fun at times as I let the kids to color some of the parts, but other times I wished it was already in color, so I didn’t have to worry about it myself in the prep time. Pirate Panolpy is a game of Pirate Garb. 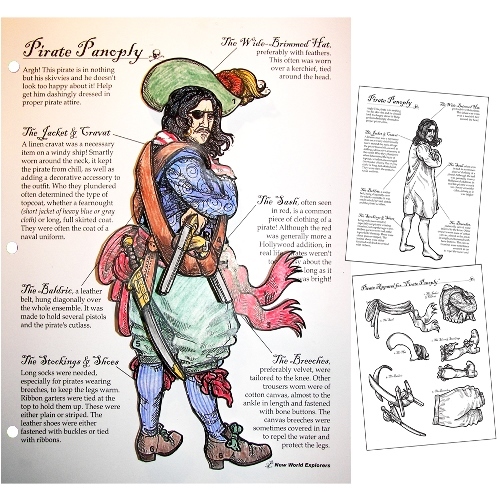 In this game, we learn about the different pieces of clothing that a pirate wears. For this game, we each needed the picture of a pirate in his skivvies. As we rolled a six-sided die, we would put different pieces of clothing on the pirate. We would talk about the clothing as we put it on and why the pirate needed that piece of clothing. The first person who fully clothed their pirate was the winner. A Trip to Town is another game we had the chance to get our hands on. This game is a file folder game of colonial life. 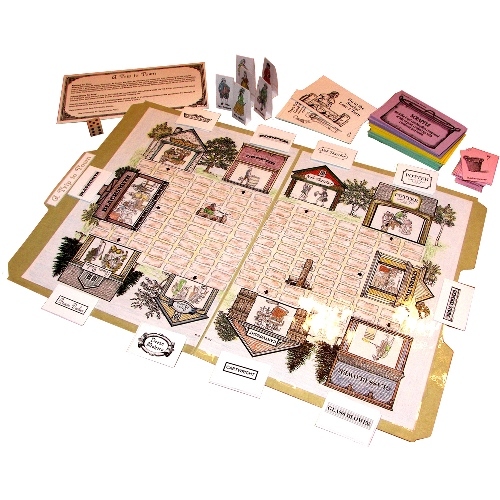 This game uses the different artisans, vocabulary, diseases, and terminology of the time period to help your child learn about the daily life of the colonial life. This is a game that we played a few times before Ray Ray began to understand what he needed to do. This is also a product that required more prep time from me before we could play it. After watching the fun that Ray Ray had learning, I would do it all over again without an issue. Finally, we had the chance to use America’s Beginnings Newspaper Collection. This was a fun way to take what we were learning and put it down in our own words. This collection included The Explorer Weekly, a new world explorers newspaper and The Town Crier, a colonial-era newspaper. 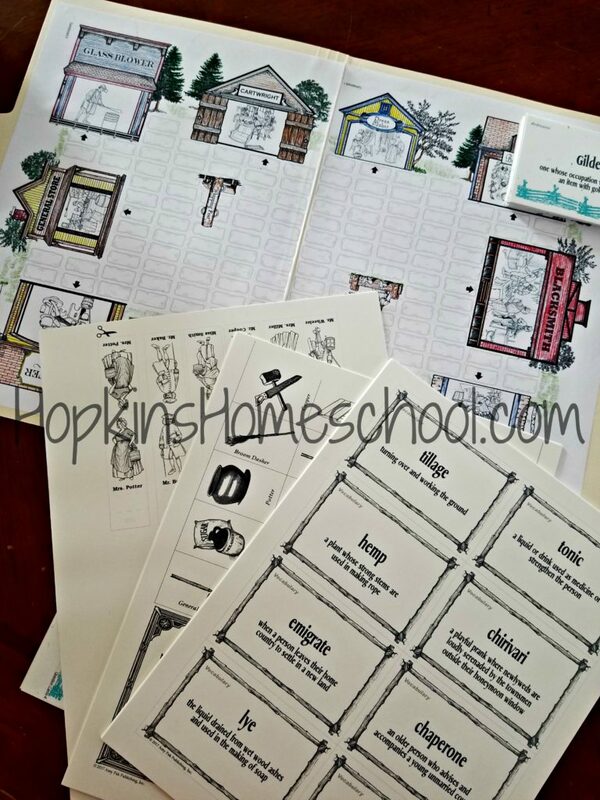 Each of these gives your child main topics to write about while creating their own newspapers. 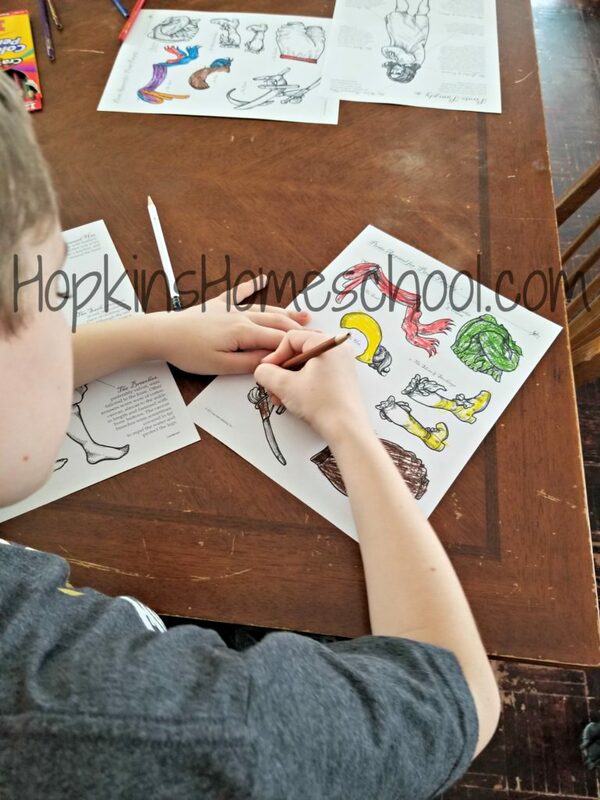 We started with Pirate Panoply game since this was the first thing we were learning about. In our history lessons, I am able to read them aloud to both Ray Ray and Little Miss. Because of this, I had both Ray Ray and Little Miss play this game with me. First things, I had everyone color their own clothing items for this game. This gave them something to do and took the load off of me for prepping. The kids loved this game. 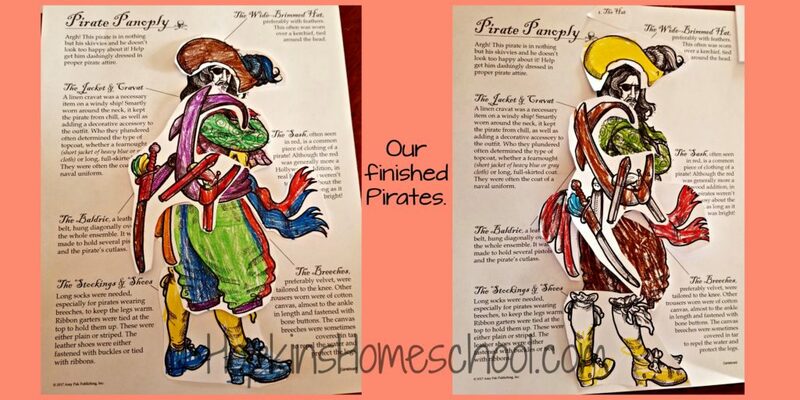 Their favorite part was seeing the pirate in his skivvies! My boys would never wear that as their skivvies. This game was a fun game to get the basic knowledge of clothing. The kids thought this was fun and they wanted to play it many times, even after we moved past pirates in our lessons. A Trip to Town was a game that required a lot of prep for me. This is one that I wish would have come pre-colored. I could have printed it and used it in black and white, but what fun would that have been? This is also the one item that I had that had the most pages to print. For me, this was not a big deal, the only issue I had was that I didn’t have cardstock on hand to print on, but that was easily resolved. After that, I was ready to cut all the pieces out and get prepared to play the game. This is a game for 2-6 players, so I was able to spend some time with Ray Ray on this game. Little Miss would love to join us from time to time, but Ray Ray and I were the primary users of the game. Playing this game, we had to make our “shopping list” and proceed to gather all these supplies by answering questions or telling the definitions to vocabulary terms. Our first time playing, we spent a lot of time in our history book, or on Google, but as we kept playing, both Ray Ray and I spent less time looking up answers and just knowing them! This showed me that he was learning something. I can’t wait until Little Miss is ready to join us in this game! Now the newspaper collection. This is one that we love. One that we will keep using! As we worked through the different time periods, we would fill in the topics in the newspaper. Some of these topics were New Land Named America But Was it a Mistake, Russia Sends Explorer! Vitus Bering Tells All, Jamestown Settlement A Success!, and America Establishes “Thirteen Colonies”. These were just a few of the things Ray Ray was able to fill in and write about. As we learned these topics in our history curriculum, we would spend time writing for our newspaper. This was just what we were looking for in our history curriculum! While we love our living stories, sometimes we need to add more. The À La Carte options give us just that, and we can pick and choose what we want to use. 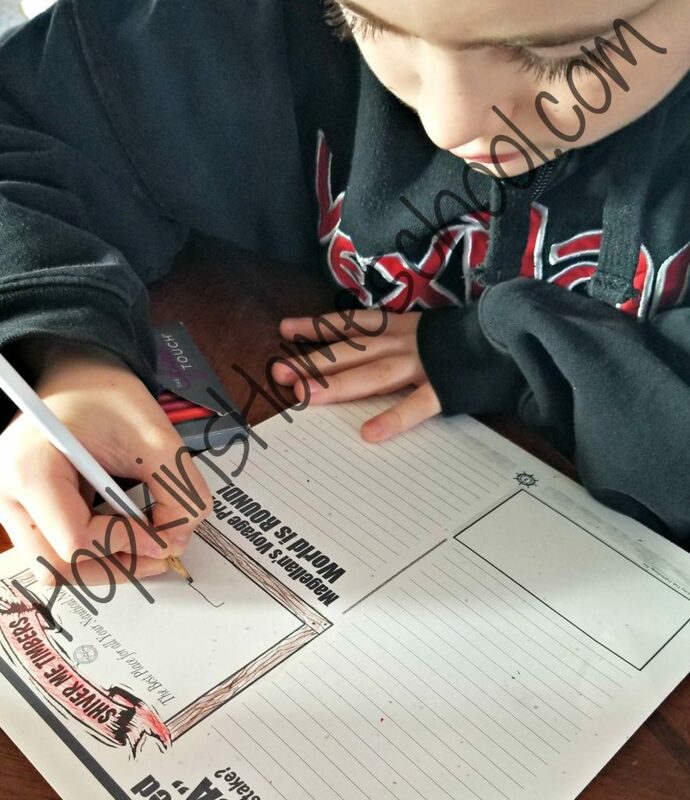 We don’t have to use everything for the time period, but we can use what we really like and take a break from our lessons to have some fun. Ray Ray really enjoys writing his own newspapers. He started off slow but has been slowly adding to them as we go on. He loves being able to show these off as he finishes them. In fact, because of how much he enjoys these newspapers, I plan to get A Young Country Newspaper Collection to keep these newspapers going through our history lessons. Finally, while the file folder game took some prep time for me, I have to admit that we learned a lot from it. Because of this, I plan to grab the Westward Ho! File Folder Game when we reach that time period. We have had so much fun adding some hands-on activities to our history lessons. I am glad that Home School in the Woods has made this À La Carte option available! This means that I can add in what we like when we want it. This is one of the best things to happen to our history lessons in as long as I can remember!